It can be difficult to find very small sizes of cloth training pants for your baby or toddler. Especially for babies practicing elimination communication and petite toddlers. The average age of potty independence in the USA is 36-months-old and many brands of potty training pants start at size 2T or 3T. The lists below can help you find both 100% cotton and waterproof training underwear in sizes smaller than 2T. Cloth training pants are an intermediate step between cloth diapers and regular underwear. Training pants often look like underwear, but have extra padding in the wet zone, to absorb a "miss" or "accident". Cloth training pants allow a child to feel wetness, but prevent a puddle on the floor. For those of us practicing elimination communication, the switch from diapers to cloth trainers can happen before "potty independence" or "EC graduation". With EC, we strive to change our little one's back-up immediately after a miss. This makes training pants perfect, since they can hold one pee, but are much less bulky than cloth diapers. Wearing training pants can allow for better freedom of movement when crawling or walking, compared to wearing a bulky cloth diaper. Training pants are also quicker to wash and dry than thick cloth diapers. They also allow your toddler to practice pushing them down, an important step when moving towards potty independence. A good time to transition to training pants is when you are catching all the poops in the potty, and your little one is standing, so he can stand up and help push down the training pants. We made the switch from cloth diapers to using cloth training pants full time when my son was 12-months-old. Dressing your little one in non-waterproof cloth training pants is a great option when you are at home. Cotton training pants are breathable and comfortable, especially in hot weather. You can also tell right away when they are wet and need to be changed. Non-waterproof training pants can prevent a stream of pee from going straight through and making a puddle on your floor, but they will soak through quickly and wet anything that comes in contact. At home I would allow my son to toddle around in 100% cotton training pants. For going out I would add a pair of interlock wool shorties or a wool soaker. Wool is an awesome natural fiber, since it is both water repellent (when properly lanolized) and absorbs wetness, as well. Disclosure: Many of the product links below are affiliate links. If you click on one of my affiliate links and make a purchase, there will be no extra charge to you, but I will receive a small commission. Thank you for your support! I love that Under the Nile training pants are made of 100% organic cotton, including the absorbent layer. My son started wearing them full time at around 12M old. They absorb a pee miss well. Receive 15% off your first order. Tiny Trainers are designed by Andrea Olson, author of Go Diaper Free: A Simple Handbook for Elimination Communication and The Tiny Potty Training Book. They are available in gender-neutral solid colors. These trainers run very small, so be sure to check the size chart! Receive $5 off your order of Tiny Trainers with coupon code ECPEESY10. Soaker Pad Fabric: Face and back- 70% Bamboo Viscose, 30% Unbleached Organic Cotton. Filling material- Zorb Fibers. Komfi Baby offers baby and toddler underwear and absorbent soaker pads. You can lay a soaker pad inside the underwear to make training pants. 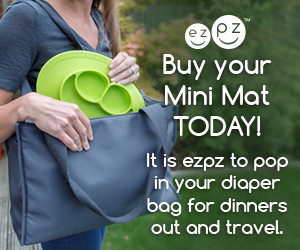 When your little one is ready for regular underwear, simply use without the soaker pad. Available as briefs or boxers. Get 10% off your first order with coupon ECPEESYKOMFI. Gerber offers basic training pants that provide a little bit of absorption. The rise is much higher than on Tiny Trainers or Komfi Baby, so Gerber training pants would work better on toddlers rather than babies. While some training pants are labeled as waterproof, they are only designed to hold one pee, and should be changed right away. Other training pants are semi-waterproof and contain a waterproof layer hidden under the padded crotch area. A pee miss will seep out and wet the trainers and any clothing worn over them. Semi-waterproof trainers have the advantage of letting you know right away when they are wet. City Threads offers the highest quality kids underwear I have found, and now they also offer training underwear! All of their products are made in the USA. These trainers have a hidden layer of waterproof PUL. Blueberry training pants are super cute and made in the USA! We didn't get around to trying them with my son, but they are at the top of my list for trying with my daughter. These are only semi waterproof, so clothes will get wet. Nicki's Diapers training pants are perfect for babies practicing elimination communication, since their size small is quite small! They fit my 3-month-old daughter who is 14 pounds. These trainers have stretchy sides, leg holes, and waistband. Ecoposh training pants are made with recycled water bottles, bamboo rayon, and organic cotton. I'm hoping to try them soon. Fabric: Shell-Face: 100% Polyester; Back: Polyurethane; Inner layer: 66% Biconstituent Fiber (80% Polyester 20% Nylon) 34% Polyester; Lining: 100% organically grown cotton. We used the Charlie Banana Swim Diaper and Training Pants, which worked well for both. The new version is called Charlie Banana Extraordinary Training Pants and is lined inside with organic cotton. TinyUps are a pull-on waterproof cover for layering over cloth training pants or Tiny Undies. They unsnap on one side. Receive $5 off your order with coupon code ECPEESY10. The Best Bottom Training Pants Kit is made in the USA and includes training undies plus snap in inserts. The design is similar to an All-in-Two cloth diaper. The PUL layer covers everywhere except the sides. On my thin son, the large leg holes allowed pee to go straight to the floor. These would work best on a toddler with chubby thighs. I hope this list helped you find small cloth training pants for your baby or toddler. Next up is a list of Small Underwear for Toddlers and Babies. What prompted you to make the switch to cloth training pants?